Are you in the market to purchase a commercial property, perhaps an apartment or office building, a gas station or restaurant? Maybe your dreams include owing a golf course, a donut shop, or an amusement arcade? Are your dreams on hold due to the potential complexities of securing a commercial mortgage? At Mortgage Intelligence, Natasha Bridgmohan and her team of experienced mortgage brokers deliver a comprehensive mortgage service. We follow a step-by-step consultative approach that will lessen the complexities of your commercial mortgage application – and ensure that you get the type of mortgage that best suits your needs today and in the future. Our personalized mortgage consultation begins with advising you on how to apply for a commercial mortgage pre-approval. There is much more to this than just filling out a stack of forms and submitting them to a mortgage lender! What is a Mortgage Pre-Approval? Why is it Important? 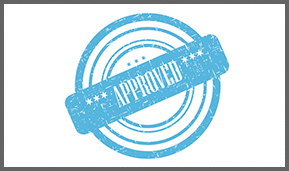 A pre-approval determines the mortgage amount for which you have qualified. Basically, it represents a conditional approval from the lender on a specific property. It gives you added confidence in moving forward with your offer to purchase as you will have a confirmation indicating that financing is available. A pre-approval can also guarantee a particular mortgage rate, for a fixed period of time, protecting you against any increases in interest rates while you are finalizing your deal. As your mortgage brokers, the Mortgage Intelligence team can help to arrange the pre-approval of your commercial mortgage after completing a comprehensive review of your financial situation. What information might you need for a pre-approval? Tip: At Mortgage Intelligence, we provide expert advice and tips on improving your credit rating should you not qualify for a mortgage directly from a lender. To obtain more information about applying for and qualifying for a pre-approval, contact the mortgage experts at Mortgage Intelligence. Contact Natasha and her team of mortgage brokers today. Call us toll-free at 1-866-553-7467 ext 221 or 905-851-8871 ext 221. You can also complete our online mortgage application form.